LAHORE: The Pakistan Federal Union of Journalists headed by Rana Azeem has decided to hold protest rallies and sit-ins from Monday to demand withdrawal of restrictions on Bol TV channel. It also demanded withdrawal of a letter issued by Information Minister Senator Pervaiz Rashid to the Pakistan Electronic Media Regulatory Authority for the cancellation of Bol channel’s licence. It also decided to play an effective role for protecting jobs of journalists employed by the channel. 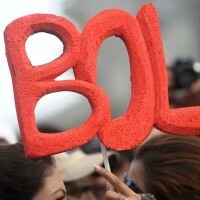 The post Support for Bol journalists pledged appeared first on Pakistan Press Foundation (PPF).